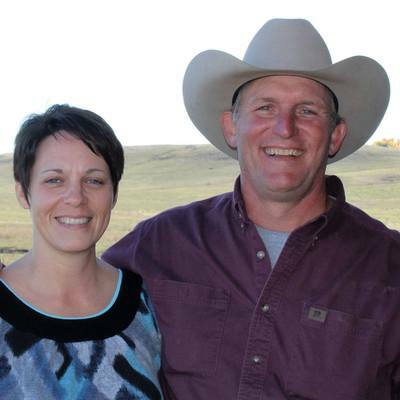 From even before Travis and Trina Schweitzer were married in August of 1997, Travis had always wanted to open a butcher shop. For Trina, it never quite seemed like the right time, until they moved out to their 40-acre spread in January of 2015. Both Travis and Trina have always shared a desire to do something that would allow them to work side by side with their 7 children and teach them the values that they were given as kids. Trina grew up working with her family running a greenhouse nursery in Lake Park, Minnesota and Travis grew up helping with his family’s tree trimming business in Bismarck. He also had experience in butchering and really enjoyed doing it with his family and for some friends. "I always enjoyed making sausage especially, and people really liked it. I was often told that I should become a butcher and 'sell that stuff!'" We are grateful to God for this dream come true and appreciate the opportunity to offer our talents to the community ~ we appreciate your business!